Indictments brought by the U.S. attorneys’ offices in the Southern District of New York and elsewhere could bring a lot of critical facts to light. One of the great advantages of being a federal prosecutor is that your investigative work can be done largely in secret, without interference, together with federal agents and the federal grand jury. 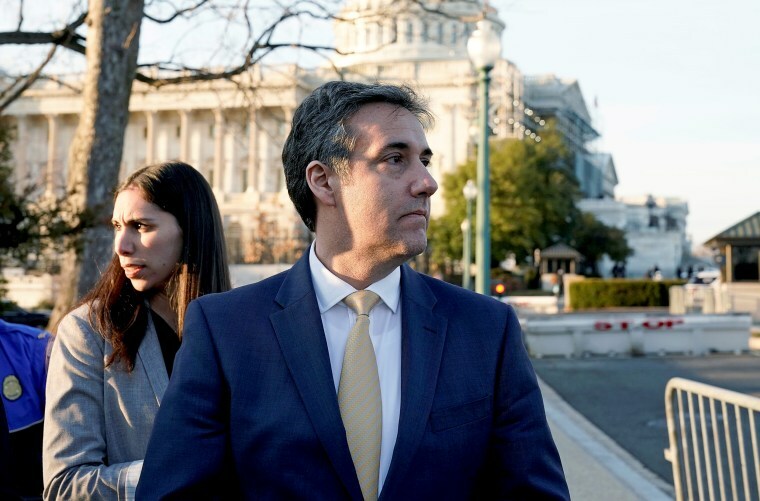 We’re now seeing how some of that secret investigation was conducted in the Michael Cohen case; Tuesday, redacted search warrants were released showing that all the way back in 2017, investigators were already looking into Cohen’s connection to hush money payments to President Donald Trump’s alleged mistresses. The affidavits supporting the search warrants reveal that the government relied on many investigative techniques, including the federal grand jury’s subpoena power. What happens in the grand jury room is, by law, secret. That is going to be a big stumbling block to full public disclosure of special counsel Robert Mueller’s report. But what happens in the grand jury room is, by law, secret. That is going to be a big stumbling block to full public disclosure of special counsel Robert Mueller’s report to the attorney general. And that is also where indictments brought by other federal prosecutors could be a big help. If there are more indictments to be brought by the U.S. attorneys’ offices in the Southern District of New York, Washington D.C., the Eastern District of Virginia, and possibly others, it is important for them to bring the charges as soon as possible. It’s the fastest route to bringing a lot of critical facts to light. The anticipated Mueller report is causing a lot of angst. We don’t know when it will be delivered. We also don’t know how much information that report will contain, or if any of it will be released to Congress or the public. Not only is the special counsel’s mandate vague about what the report should look like, but there are some severe restrictions on what can be made public, even if the report turns out to be very detailed. Now the House Oversight Committee has taken matters into its own hands, issuing dozens of subpoenas and contemplating taking testimony from more witnesses. In other words, Congress is now doing what the special counsel was doing two years ago. For Congress and its staff to recreate his investigation will take much longer than two years. Even if Congress were to subpoena federal investigators, Congressional subpoenas alone cannot overcome the statutory protections that shield certain types of evidence. Some evidence gathered by federal criminal investigators can probably be given to Congressional investigators — for example, items that were seized in search warrants, produced pursuant to subpoena, and voluntarily given to investigators. But grand jury evidence can be disclosed by the prosecutor only to other law enforcement agencies. And while in extraordinary circumstances a federal court might agree to order the release of grand jury information to a Congressional oversight committee, it would not happen here without protracted litigation involving the White House, the special counsel, the Department of Justice, and various defendants and witnesses. The federal grand jury is a body made of 16 to 23 United States citizens, who hear testimony from witnesses and review other evidence, some of which was subpoenaed by the grand jury. Its job is to determine whether probable cause exists to indict a target or targets with felony charges. There is no defense attorney or judge in the grand jury room when evidence is taken. Aside from the grand jurors, the witness, any translator, and the court reporter or recorder, the only other person in the room is the prosecutor, who usually conducts most of the witness questioning. To date, prosecutors in the special counsel’s office and various U.S. attorneys’ offices have already elicited testimony from numerous witnesses and obtained voluminous documentation from banks, companies, individuals and agencies using grand jury subpoenas. But proceedings before the grand jury are secret for a variety of reasons: to protect the reputation of the person being investigated, to safeguard the integrity of the investigation, and to ensure the safety of the witnesses. Trump Organization subpoenas look increasingly likely. But summoning witnesses isn't always simple. Federal Rule of Criminal Procedure 6(e) prohibits grand jurors, prosecutors, court reporters, and translators from disclosing any “matter occurring before the grand jury”; only the witness himself or herself is free to disclose what happened while the witness was before the grand jury. This means that government prosecutors — and that includes the special counsel and his team, and anyone who works at the U.S. Department of Justice — cannot disclose to Congress or the public any transcripts or summaries of witness testimony before the grand jury. A cautious prosecutor probably also won’t publicly release documents obtained by grand jury subpoena. If, as Michael Cohen testified, the Trump Organization and its employees were engaged in multiple criminal acts, then Congress will be well served by federal indictments, brought by U.S. attorneys, that detail those acts. These indictments need not allege Russian involvement in our democratic election process; that falls under the purview of the special counsel. And the president may, if warranted by the facts or Department of Justice policy, remain uncharged and be referred to only as “Individual 1.” But descriptive indictments may give Congress a better roadmap for its own investigations than the special counsel’s report, especially since the report may never fully or even partially be released to the public. Because public disclosure of evidence gathered by grand juries is prohibited, indictments will speak louder than reports. 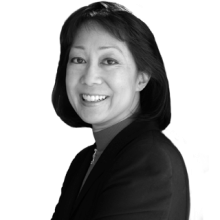 Carol C. Lam was a United States Attorney for the Southern District of California, and a federal prosecutor for 18 years. She also served as a Superior Court Judge in San Diego County.